Miami Beach Commissioners this week agreed to a settlement with Normandy Living LLC, bringing an end to more than a year of legal actions and resident concerns over a proposed detox facility on Normandy Isle. Instead, the current owners will expand the assisted living facility on the site. The final agreement, which still must be approved by the U.S. Department of Housing and Urban Development, calls for the City to pay Normandy Living $500,000 and, in return, Normandy Living will dismiss all claims against the City, its boards, elected officials or employees and indemnify and hold the City harmless for any claims thereafter. The City must provide HUD with a copy of its new ordinance which updates and clarifies the operation of Adult Congregate Living Facilities (ACLFs), the category Normandy Living was proposing to operate under. Specifically, the ordinance addresses definitions and regulations for crisis stabilization units, residential detoxification centers, community residential homes, and residential medical rehabilitation centers. In addition, it replaces what the City calls the “obsolete” ACLF term and replaces it with “assisted living facility”, and revises the Code to reflect proper licensing requirements. Normandy Living claimed the City was discriminating against persons with disabilities (those withdrawing from drug or alcohol addictions) when its application to operate a detox facility was denied. In March, Commissioners approved a moratorium for any new ACLFs until City code could be updated. Normandy Living had planned to purchase the two properties at 1904 Marseille Drive and 7100 Rue Granville from Better Living LLC, the operators of Normandy Estates Assisted Living. In addition, they agreed to purchase an adjacent property at 1915 Normandy Drive with a plan to operate a 50-bed drug and alcohol rehabilitation center. 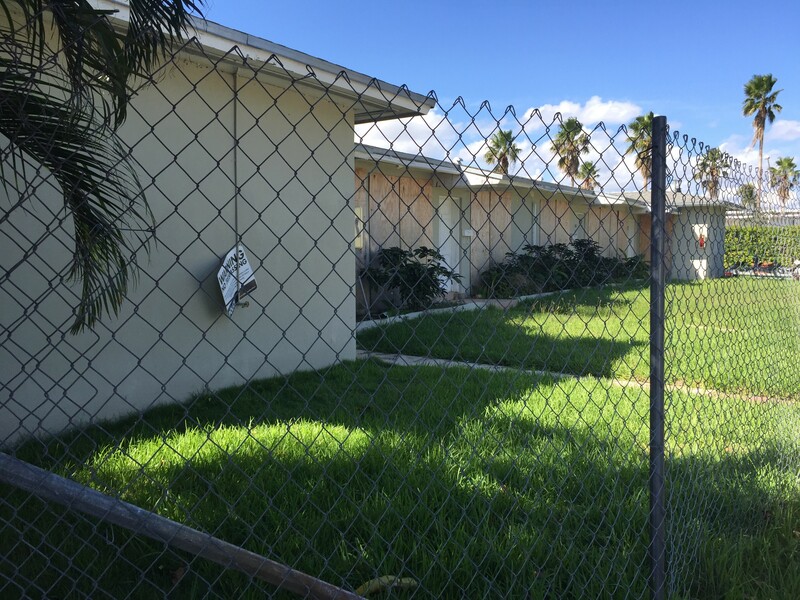 Lisa Ricco, Manager of Normandy Estates (photo above), which operates a 12-bed assisted living facility at 7100 Rue Granville, said the owners are now planning to expand the current ALF into the neighboring property at 1904 Marseille Drive which is currently fenced off and boarded up (photo below). North beach detox center moving to court?